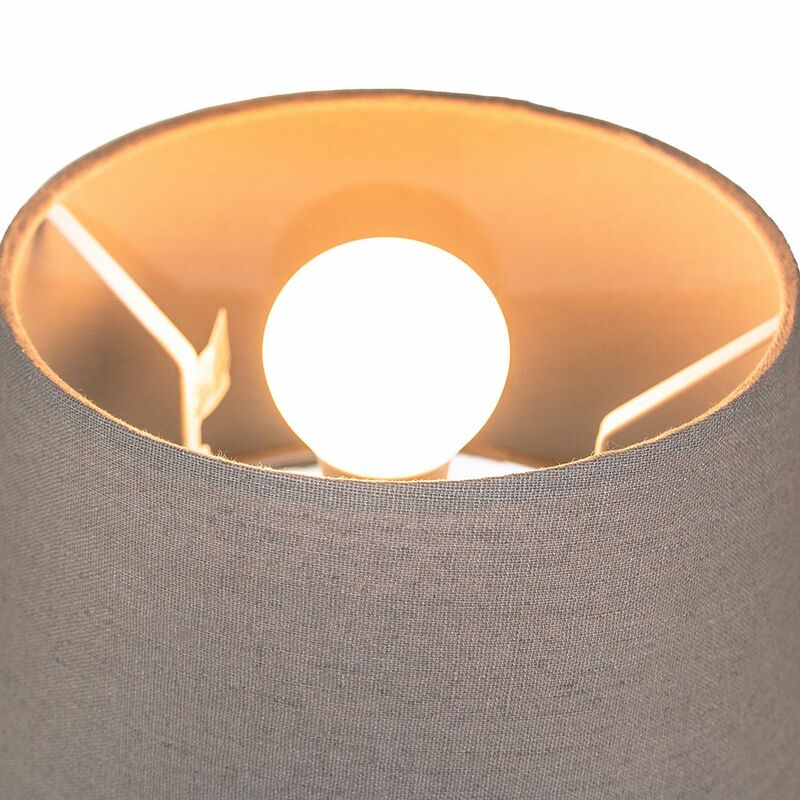 Traditionally designed circular drum shaped lamp shade suitable for table or pendant. 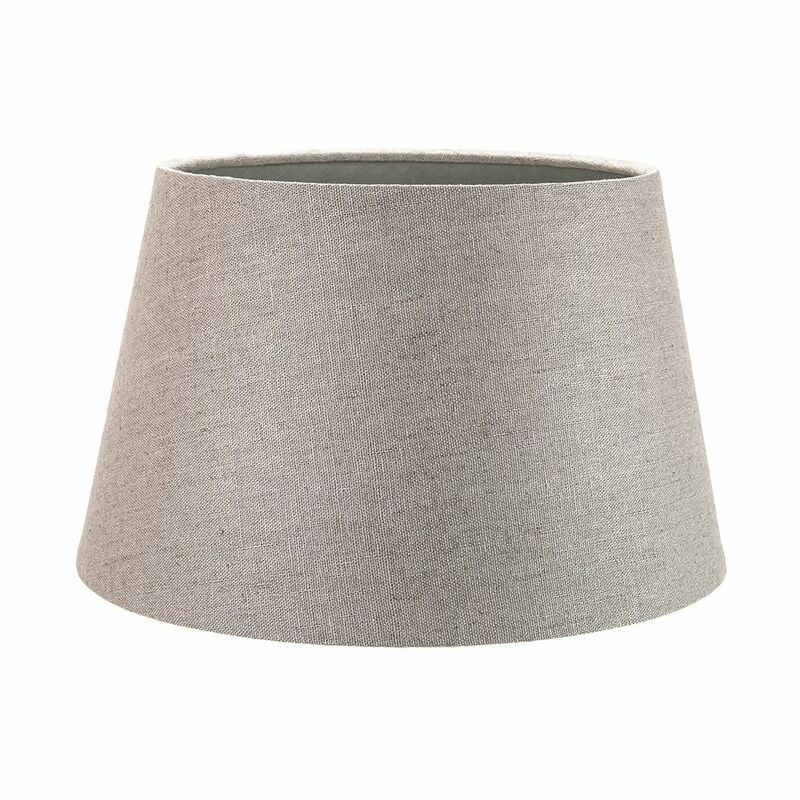 Made of high quality grey linen fabric with white gloss inner metal frame. The product dimensions are: Height - 19cm, Top diameter - 23cm, Bottom diameter - 30cm. 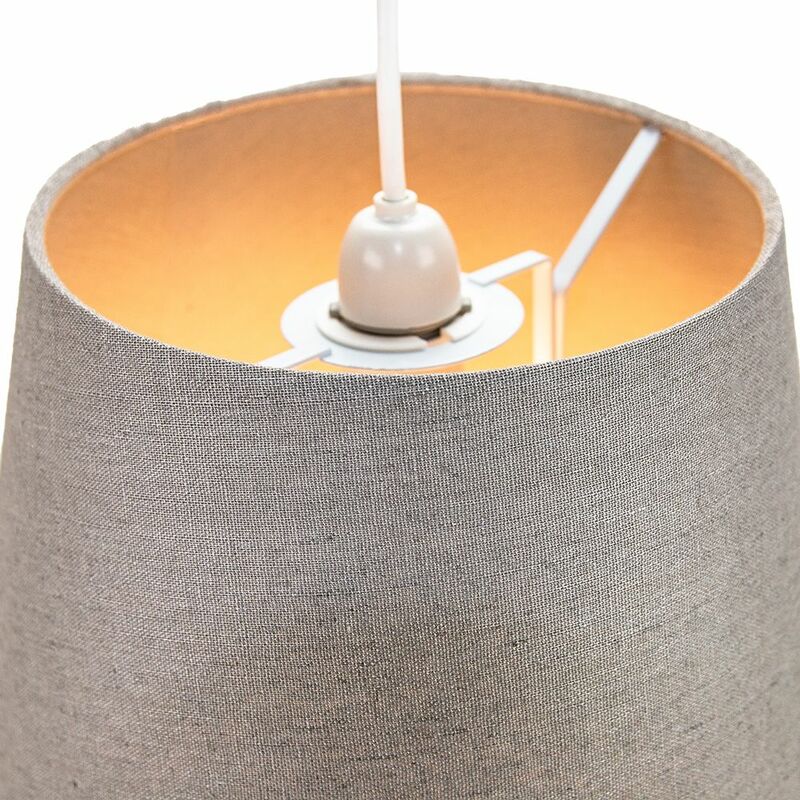 Maximum wattage allowed is 60w. Features a reversible gimble allowing usage for both table lamps and pendant ceiling roses.